There are a lot of things that we do as teachers to help turn our students on to reading. We work hard to expose our students to the right kinds of texts, genres, and topics. I love the book, Miss. Malarky Leaves No Reader Behind by Kevin O'Malley. Are you familiar with it? It's a cute picture book about a teacher that is determined to find a book for each student in their class that they will fall in love with, even the boy who hates reading. By the end of the year, she successfully finds a book for each of her students to love. Sigh. If only it were that easy. I think we can all relate to Miss. Malarky. We want to be that teacher that finds the perfect book for each student that then triggers a life-long love for reading. Although it may be no easy task, there are some things we can do. One of my favorite ways to get students excited about reading is by doing an author study. With my own students I did at least one author study a year and I have come to LOVE them. And I hoping you will too! WHY DO AN AUTHOR STUDY? 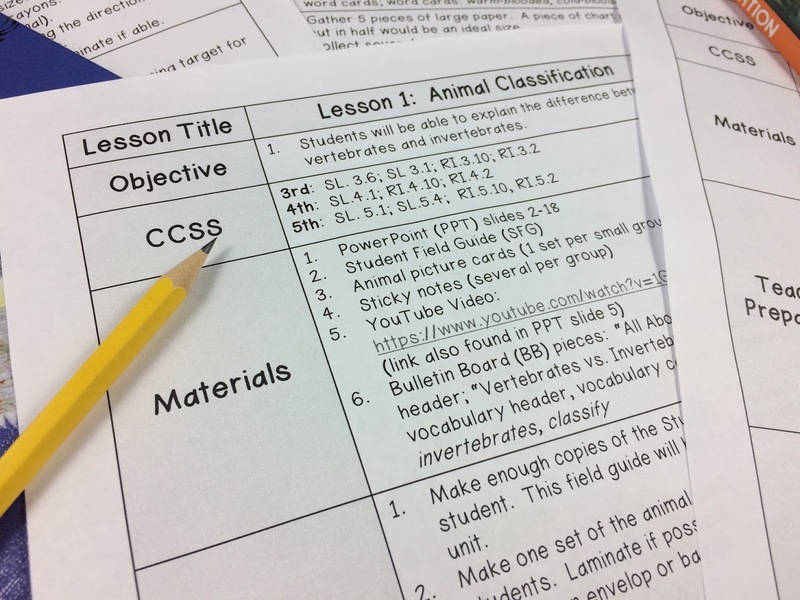 Since I love author studies soooo much, I've decided to host a mini-series here on the blog all about creating an author study in your own classroom. I have a lot of information that I want to share with you, but doing so in one post will make your head spin. 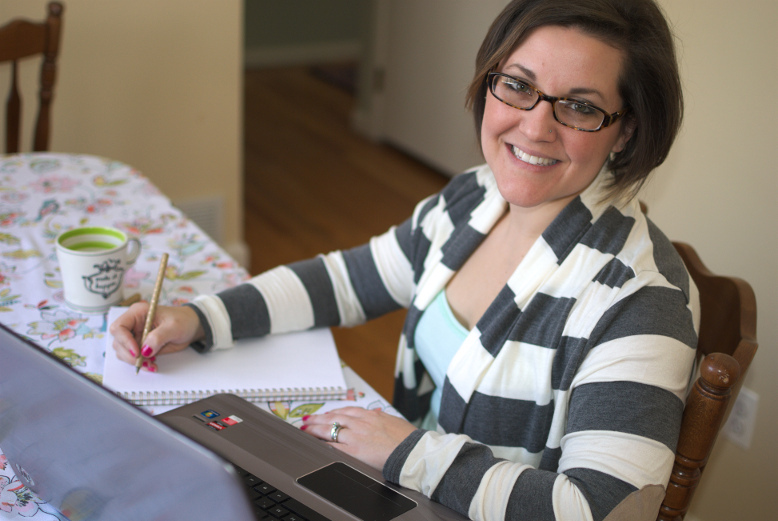 So, over the next few weeks I'm going to break it all down for you so that you can walk away with the tools you need to design your own author study for you and your students. This mini-series is going to be packed full of actionable information to help you hit the ground running with your author study. So are you ready? Let’s jump in! Now, I just want to make sure we’re on the same page with our understanding of what an author study is. An author study is exploring several books by the same author to really delve deeply into the life and craft of that author. Students will explore common themes, characters, topics, and writing styles of that author. Let’s talk briefly about the 3 components of an author’s study. With each author study that you teach, you want to help your students to connect with the author right from the beginning. This can be as simple as learning fun facts about the author or learning about the author’s personal life through a short biography. Watching short video clips of the author being interviewed or listening to audio recordings of the author reading their own books are also great ways to help students connect to the author. Doing so will help your readers to see the author as a real person, something that is very crucial in inspiring your own students to be writers as well. In some ways, the author becomes a writing mentor by modeling a certain style of writing that students may begin applying in their own writing pieces. The second component of an author’s study is book exploration. This is the meat of your unit. Here your students will interact with the books in a variety of ways. They’ll hear the books in a read-aloud setting, through independent and partner reading, or even guided reading (We’ll talk all about how the book exploration might look in your classroom later in this series.). They’ll start to notice commonalities between the different books (ex. similar characters, places, or themes). It is in the book exploration component that your students really get to the heart of an author study. The final component of an author’s study is responding to the books and to the author. Now, this component will weave in and out of your unit. You might read 2 or 3 books by your chosen author that you’ve grouped together based on a common theme. After reading those selected books, you may choose some sort of response activity that ties all of those books together. It could be a group project, and individual writing piece, or even a craft, depending on what fits with your students. 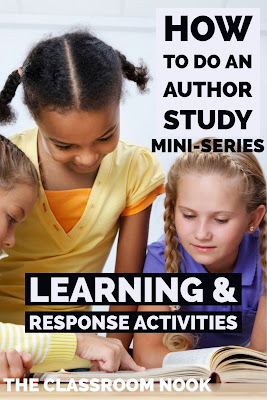 We will talk a lot about response activities in part 4 of this mini-series, so don’t worry if you aren’t sure what that might look like, yet. I’ve got you covered there. Ok - now that we've got the basics, let's talk authors. Since you're going to be spending a good amount of time on one author, you need to choose wisely. Not every author makes a great choice for an author study and the one you do choose is a big decision. It will make or break your unit. We already talked about how author studies are a great way for students to bond with the author and actually begin using the author as a writing mentor. So, choosing an author that is going to do just that means you need to know your students as readers. That is why I do NOT suggest doing an author study at the beginning of the year. You really want to base your decision off of your knowledge of your students' reading abilities, backgrounds, and interests. Choosing an author is more about your students than it is about you. So let's talk about that real quick. WHICH GENRE WILL WORK BEST FOR YOUR STUDENTS AND MEET THEIR READING GOALS? Do your students enjoy a particular genre? If so, perhaps choose a genre that you know will be a win for your students and will really capture their attention. This may be especially helpful if you have some reluctant readers. Do you need to expose your students to a new genre? Maybe your district curriculum requires you to cover a specific genre. In this case, you can choose an author that will support your curriculum requirements. For example, maybe your grade level is required to study the fantasy genre. Choose an author that writes in the fantasy genre (Chris Van Allsburg is a favorite fantasy author of mine.) You can mold an author’s study to align with your curriculum requirements already set in place. Any reading skills and strategies that are required by your curriculum can be applied to an author study. Can you pick a genre to correlate with another content area? Meaning – are you teaching something in science or social studies that can be tied in to your author study. For example, if your teaching about animals in your science curriculum, choose a nonfiction author like Steve Jenkins, who writes amazing nonfiction picture books, many of them about animals. 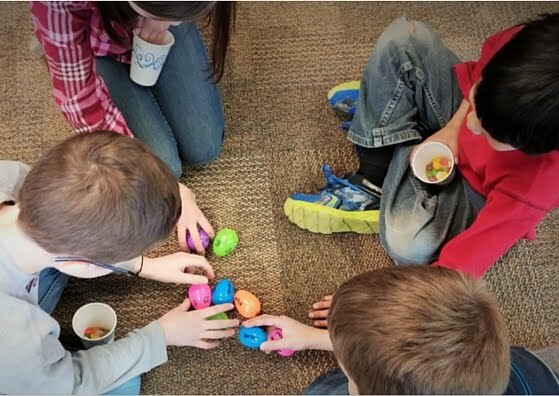 You’ll be enriching their knowledge about animals through the books, but you’ll also be able to teach nonfiction reading skills like how to comprehend text features. CHOOSE AN AUTHOR WITH A VARIETY OF READING LEVELS. Now, this consideration may or may not apply to you. 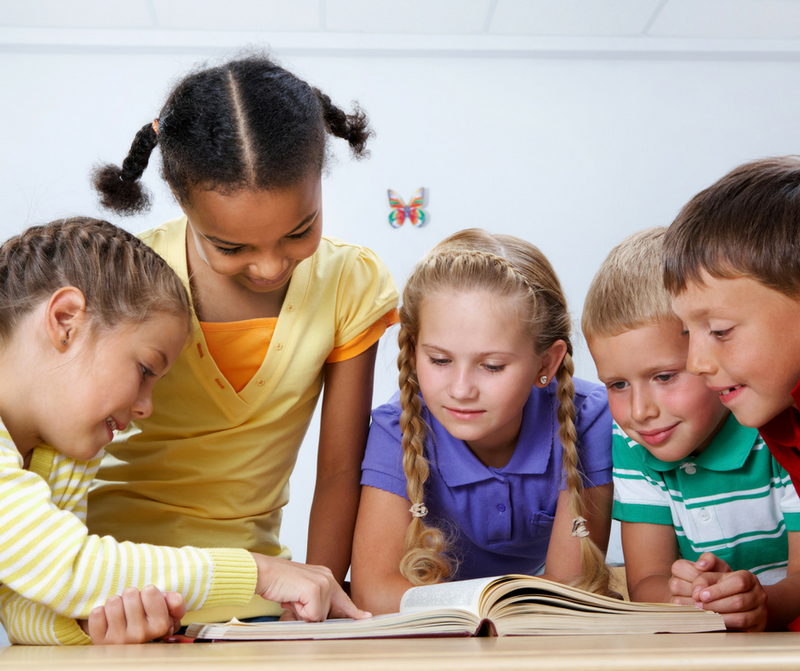 Let’s say your grade level departmentalizes and your grade level team breaks up your students into reading groups based on reading abilities, then perhaps you won’t have to worry so much about choosing an author with a variety of reading levels. But, if you are teaching a reading class that is comprised of a variety of reading levels, then you will definitely need to consider choosing an author that has a variety of reading levels to choose from. This will allow you differentiate your instruction, even if your class is studying the same author. CHOOSE AN AUTHOR WITH UNIQUE, HIGH QUALITY CONTENT. Now, it may seem obvious that you anytime you have your students reading, you want it to be high quality, but let’s just talk a moment about what unique, high-quality looks like in light of an author’s study. It’s important to choose an author that does something special - really well. The author has a signature writing style or voice that is unique to him/her. Do they have a really humorous style of writing? Or does the author do a great job of making the reader feel emotions? Maybe the author writes with beautiful imagery. This is what I mean by signature writing style. The illustrations found in that author’s books stand out. For example, is the author known for including illustrating in their books that use a specific artistic technique? A certain element such as a character, setting, theme/topic is seen repeated over and over again in the author’s books. This will facilitate the students in making connections between books. For example, Patricia Polacco’s stories often have the character “Babushka” (meaning grandma). This is a unique character in her book that we see over and over. CHOOSE AN AUTHOR THAT WILL HAVE HIGH STUDENT INTEREST, MAKING IT EASY FOR STUDENTS TO CONNECT WITH. If done correctly, students will begin to view the author you have chosen as “their author.” So, give them an author that they can see themselves in and relate easily to. This is why waiting until later in the school year to do an author study will help, since you will know what topics interest your students. Alright, let’s switch gears here a bit. I just laid out the 4 main things to consider when choosing an author. But now, with all that in mind, let’s think about whether to choose authors that write chapter books vs. authors that write picture books. The choice is yours, but there are a few things to think about. If you have younger kiddos (say 2nd graders), then you're most likely going to choose an author that writes picture books, especially if this will be their first author study. You don’t want to overwhelm them with too much. Shorter picture books will give your readers the quick win where they can enjoy the author a little at a time. However, with older students, I’d say grades 3 and up, you have more options. Older students can handle longer chapter books, but your author study will look different then if you were using picture books. To point out the obvious – chapter books are going to take longer to get through than picture books. And you’re probably NOT going to have your whole class read through several chapter books by the same author, one after another - you'd never have time to teach anything else! More than that, you could run the risk of losing your students’ focus and enthusiasm if you stretch your author study unit out too far. But – that’s not to say that choosing an author who writes chapter books should be off the table. There’s actually a great way to make it work and to really develop a stellar author study around chapter books. We'll get into that in a LOT more detail in part 3 of this mini-series. I just want you to starting thinking about it now. How much time do you want to allot for an author’s study in your reading curriculum? You have a little more freedom in unit-length when you choose picture books because you can choose as few or as many picture books as time allows. But when you choose an author who writes chapter books, then you're committed to completing a longer book, and in turn, a longer unit. Alright - are you left feeling a little over-whelmed? There's a lot to consider right? I thought you might feel that way. That's why I wanted to put it all together for you on a downloadable author comparison guide that helps you visualize how it all comes together by looking at several different author options. On this PDF you'll find authors to match up with interests, reading levels, and common genres to help you choose the perfect author for your students. In the download, I also indicate authors that cover a wide-range of reading levels in case that is something you need to consider for your students. Although it is not an exhaustive list of every author to consider, it will get you started with some of the most popular authors being used for an author study. Fill out your info below and I'll email it right over to you. Read through the author comparison guide, or think about some authors that you are already familiar with that might be a good fit for your students. Explore some of their books. If you are unfamiliar with any of the authors on the comparison guide, then check out a book or two by that author to get a taste of their style. They just might be perfect for your students. In part 2 we’re going to dive deep into book selection. Once you’ve selected your author, the next step will be to then choose the books by that author to read with your students. I can’t wait to walk you through it. See you there.